Welcome to the Rosati-Kain Student Support Services Department! Within these pages, our goal is to give you an overview of our services. Please feel free to contact us if you need further assistance. Our department consists of two full-time school counselors, Mrs. Jamie Burke and Mrs. Mary Wald. Mrs. Burke is the Director of School Counseling and is trained and experienced in college, career, and academic counseling, personal and social issues as they impact the school day, in developing and administering individualized learning profiles for diagnosed needs, as well as administering and interpreting standardized testing. Mrs. Burke is also the Rosati-Kain A+ Coordinator. For more information, check out the A+ Schools Program Handbook. Rosati-Kain hosts many college admissions representatives throughout the school day and provides plentiful resources for the college search, application, and scholarships. 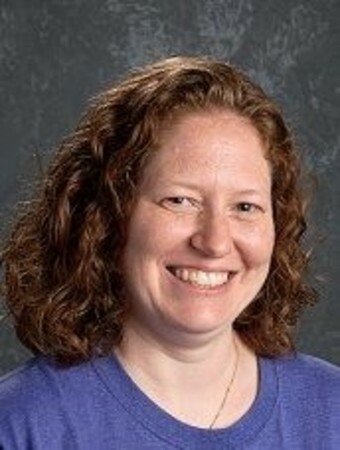 Mrs. Wald is the Director of Wellness and is trained and experienced in the management of personal and social issues as they impact the students. Mrs. Wald coordinates grade level presentations, school-wide assemblies, and other programming around the social, emotional, and academic wellness of the Rosati-Kain students. Mrs. Wald also coordinates the implementation of individualized learning profiles for diagnosed student needs. Our office maintains an updated list of outside referrals if needed. Mary Wald earned her Bachelor’s Degree in Psychology with a Minor in Sociology from DePauw University in Indiana. She then received her Master’s of Social Work degree from Washington University in St. Louis. 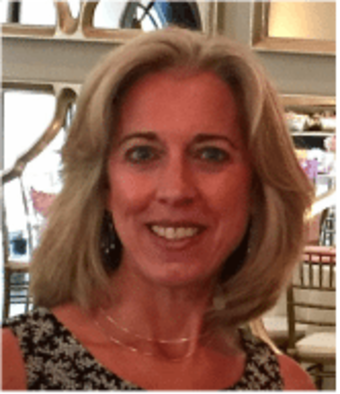 Mary has worked as a Therapist since 1992, specializing in Adolescent and Family Therapy, at SSM Rehabilitation Center, Kids in the Middle, Inc., St. Cecilia School and Academy and in private practice. She has been a licensed clinical social worker since 1994 and is married with two teenage daughters. Jamie (Messer) Burke is a Rosati-Kain graduate from the class of 1997. Jamie received her Bachelor of Arts in Secondary Education and Spanish from Cornell College. After working for over a decade as a Spanish teacher in archdiocesan schools, she received her Master’s of Arts in School Counseling from Lindenwood University. Jamie enjoys her job immensely and is finally at home in the R-K Guidance Department. She is so blessed to have achieved her “dream job” and loves working with your daughters in helping them achieve their goals, both personally and academically. Jamie most loves spending time with her family. Along with a wonderful husband, she has two young daughters and a German Shepherd who keep her busy. Jamie also loves spending time with her friends, especially “Girls Nights” with her R-K girls! Where do R-K graduates go to college? In the past two years, Rosati-Kain graduates have enrolled at more than 70 colleges and universities across the United States and internationally. There is no one school for the R-K students: some select small liberal arts institutions, others go on to big research universities. Some stay close to home, while others opt to go thousands of miles away. To view a listing of where our graduates attend college for the past two years, please click HERE.